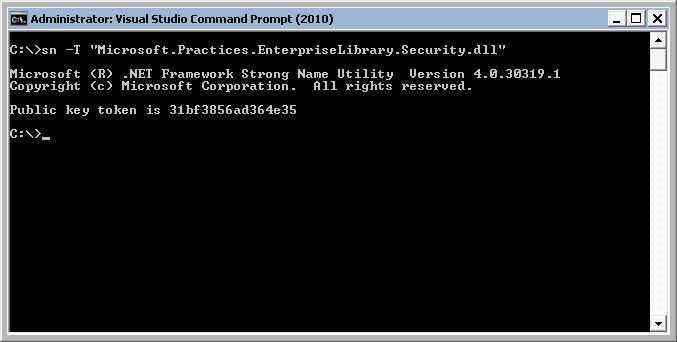 Open a command prompt window using elevated rights. Done (at least, you should be)! It is probably a little too agressive to solve the problem like I did, but I assume you can use this command as a work-around or as a reference for a better solution. In that last case, I would definitely like to see your solution in the comments section . This entry was posted in tip on April 5, 2012 by Bert Loedeman. In your mail profile (via Control Panel), uncheck the checkbox for ‘Use Cached Exchange mode’. Wait for some magical seconds (and maybe now create some favorites/search folders). Navigate to OWA (or refresh) and see the favorites and search folders to be synced. This entry was posted in Uncategorized on October 19, 2011 by Bert Loedeman. Tomorrow I will be demoing about the Build Windows event last week. Of course, as a SCRUM Master, I must demo something about the new Team Foundation Service preview. But… How to come up with something different than a boring project name like ‘Windows 8 TFS Demo App’? When surfing around the Interwebs just minutes ago, I stumbled upon a really great Dilbert strip inspiring me to laugh a bit (although it didn’t help out on the name, unfortunately ). I hope hereby I share the smile with somebody also searching around for inspiration . PS1. Notice the dog’s name is Dogbert (nice variation on my blog’s name ). PS2. The name I came up with? CreAte! Lately I seem to use Twitter more than I use my blog. Keeping up on Twitter is easier than writing entire blog items . I just added the WP to Twitter plugin to my blog to notice my followers that I blog sometimes. Therefore, if you are interested in my short messages to the world as well ánd want to stay tuned with my progress at this blog, I hereby invite you to follow me: @loedeman. This entry was posted in tip, twitter on August 9, 2011 by Bert Loedeman.